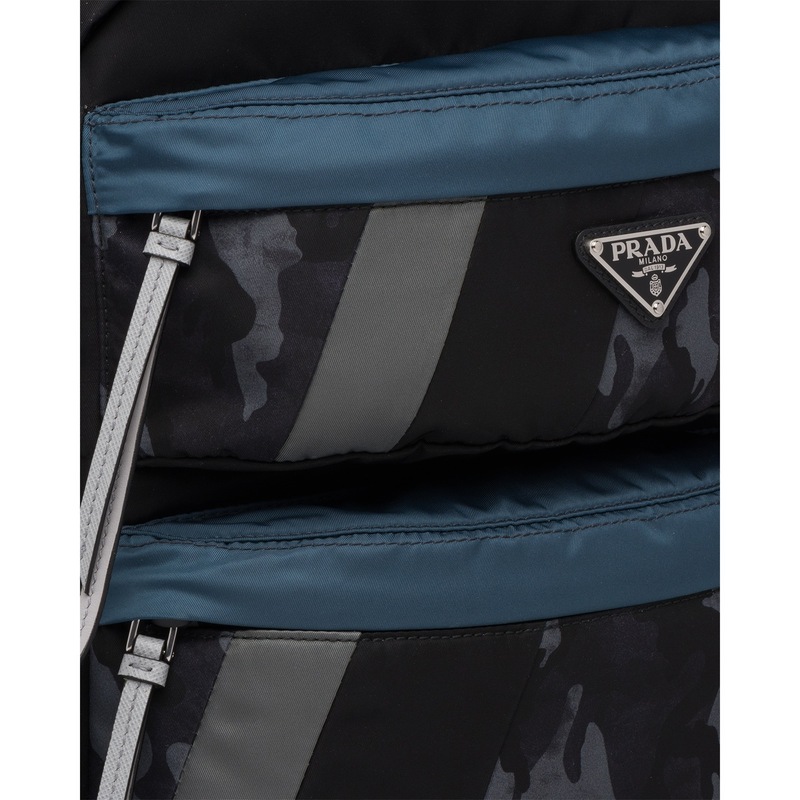 Logo tag inside and triangle logo on the outside. 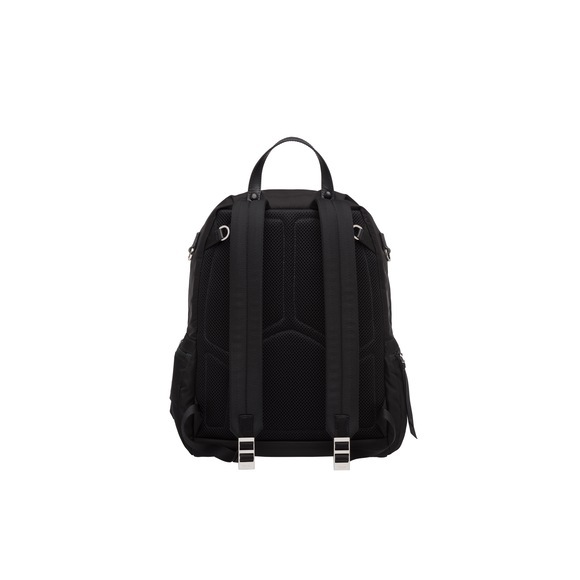 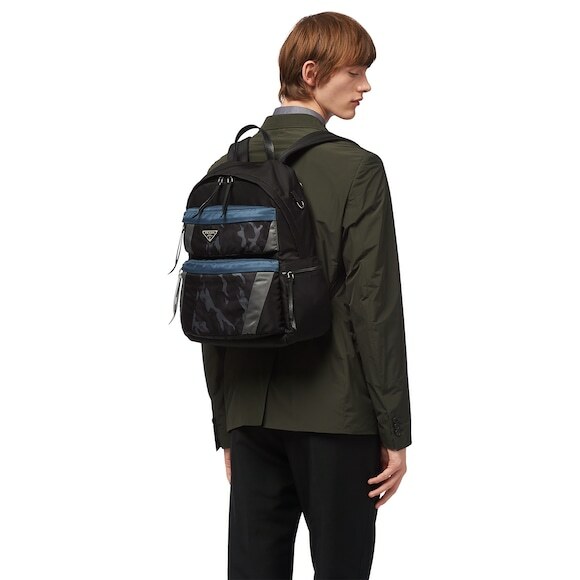 This technical fabric backpack has a masculine, functional design. 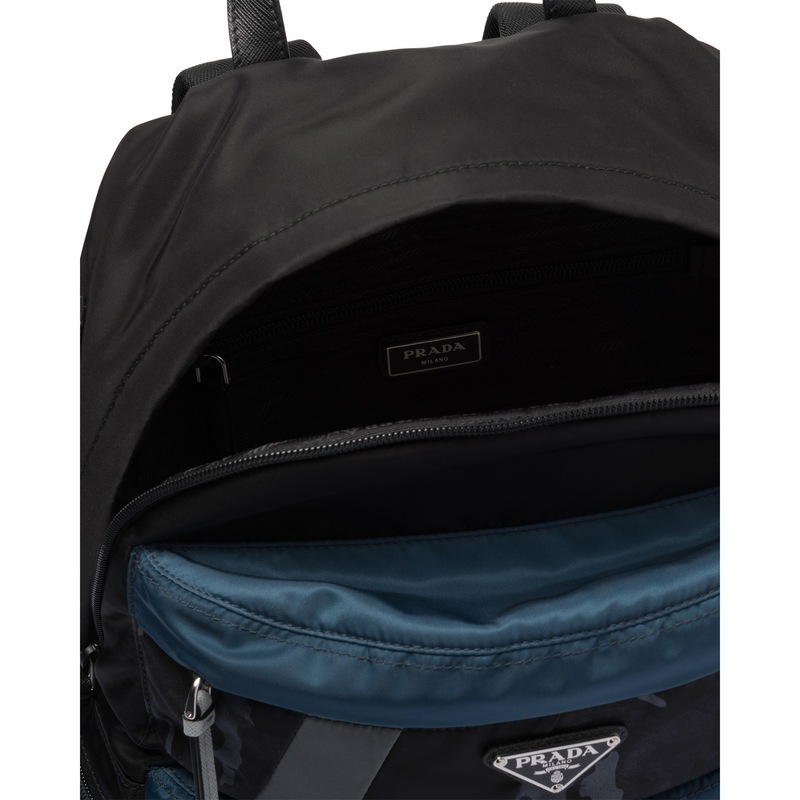 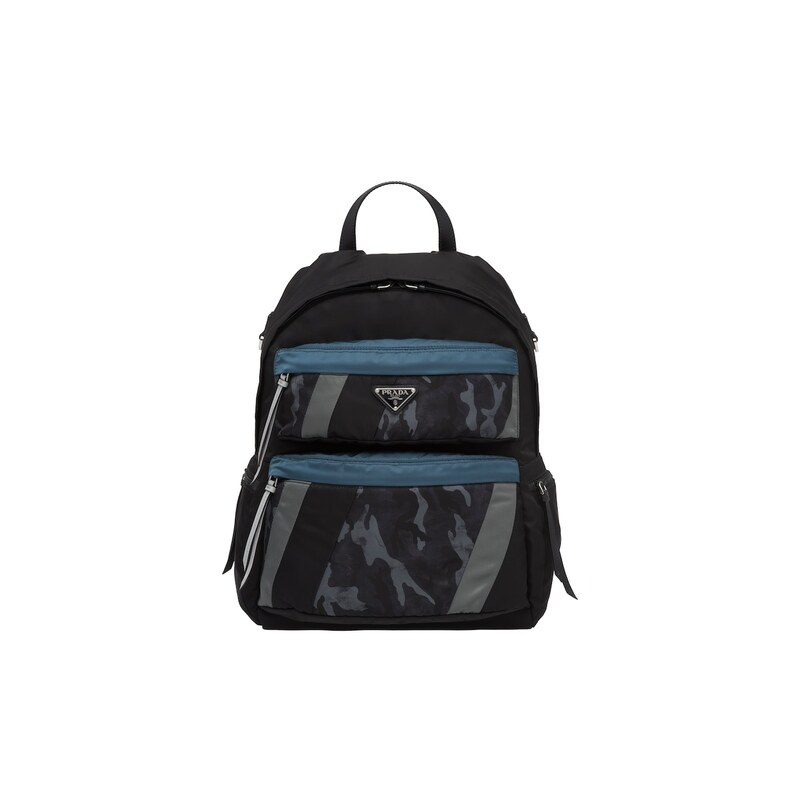 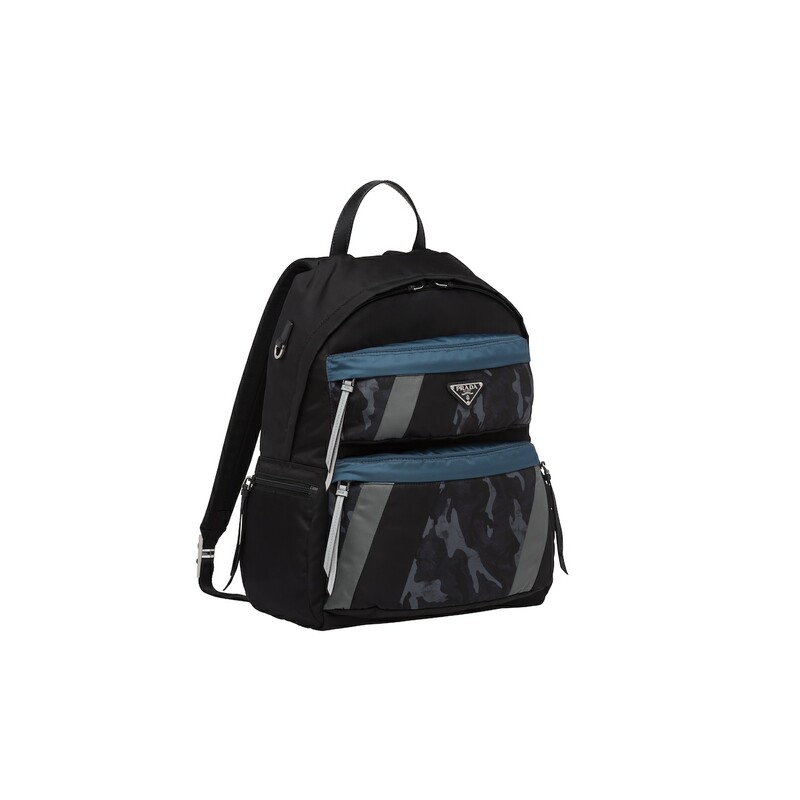 This backpack stands out for its many pockets and the metal triangle logo.